CAUTION - this dude gives hope. "Our hearts know that a more beautiful world is possible; but our minds do not know how it's possible". In this intelligent and inspiring talk, writer and visionary Charles Eisenstein explores how we can make the transition from the old story of separation, competition and self-interest to a new Story of the People. 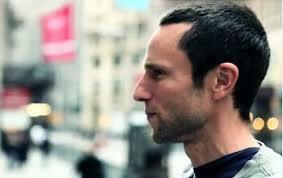 Charles Eisenstein is a teacher, speaker, and writer focusing on themes of civilization, consciousness, money, and human cultural evolution. His books (The Ascent of Humanity and Sacred Economics) as well as his other essays and blog posts on web magazines have generated a vast online following; he speaks frequently at conferences and other events, and gives numerous interviews on radio and podcasts. Writing in Ode magazine's "25 Intelligent Optimists" issue, David Korten (author of When Corporations Rule the World) called Eisenstein "one of the up-and-coming great minds of our time." Eisenstein graduated from Yale University in 1989 with a degree in Mathematics and Philosophy, and spent the next ten years as a Chinese-English translator. He currently lives in Harrisburg, Pennsylvania with his wife and three sons.